Visit E82's Art Gallery for High-res multi-platfrom versions of this desktop background. Long before I considered Graphic Design as a profession, my passion for the unknown, unheard, and mainly unattainable original music of all theme parks (but mostly EPCOT Center) had sparked the Future World Soundtrack Series into being. First conceptualized as a means of promoting awareness and appreciation for those things that where largely forgotten or pushed aside, the series was originally intended to be a physical release with a CD of attraction music and a Data disc containing visuals and imagery to match the music. 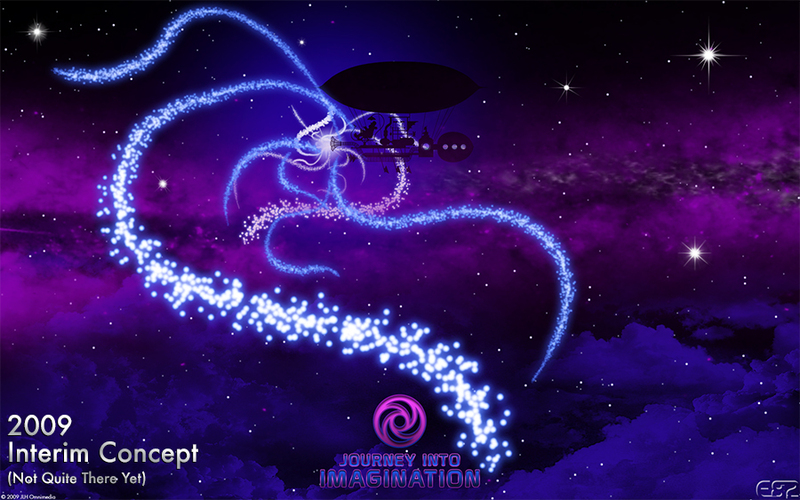 An update of the classic attraction “Journey into Imagination” was the first of my objectives but the dream (along with my abilities) grew much too large for physical reproduction, and (to make a very long story short) The E82 Project was born. 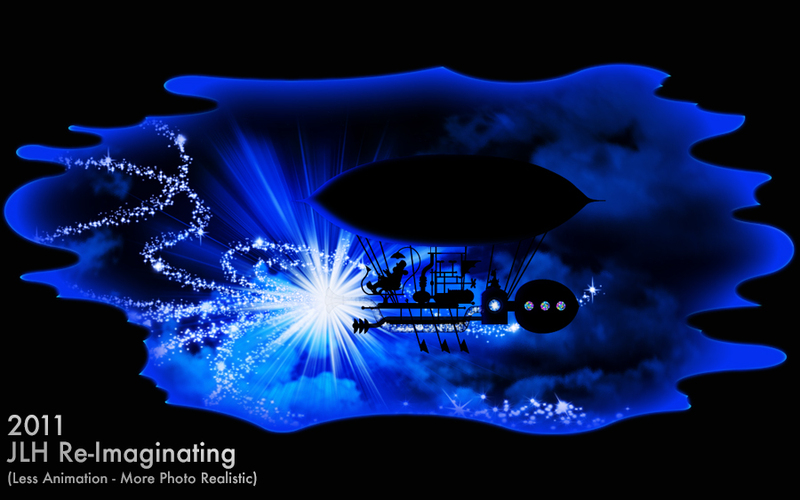 Inspired by the opening animation sequence of in the original Journey Into Imagination: The "Dreamcatcher" floating through space and collecting the sparks of creativity. 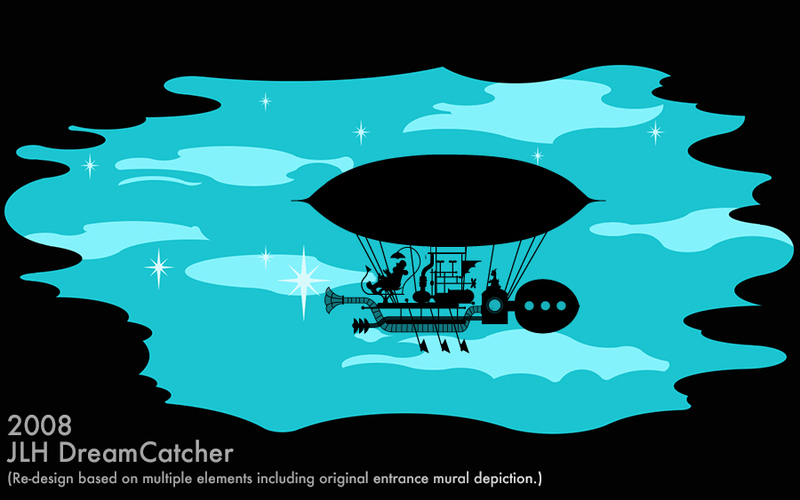 This modern reinterpretation depicts the accurately renamed “Sparkcatcher” in silhouette floating through an infinite cloudscape. E82 has been a spare-time project therefore elements of the project have been started, put on hold or shuffled around to accommodate more important project initiatives. 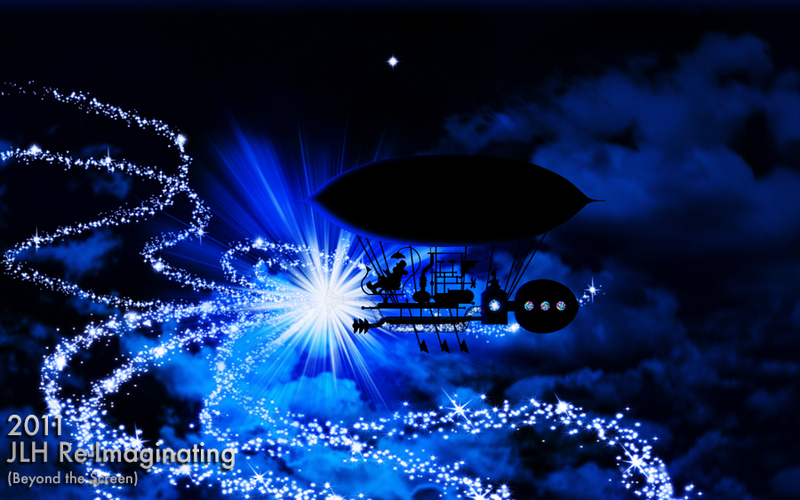 Sparkcatcher was revisited over several years and each time was restarted with an almost entirely new set of skills and design aesthetics as such following slideshow is presented as a case study of artistic evolution as is in no way representative of current work ethics or project timetables. In 2012, Ron Schneider (The Original “Dreamfinder”) asked if he could use a modified version of the Dreamcatcher art to adorn the chapters of the book, From Dreamer to Dreamfinder which you can see starting on page 11.